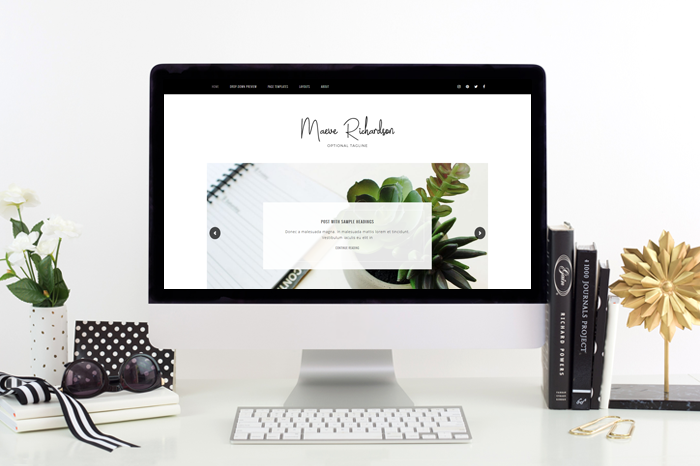 Maeve is a highly versatile WordPress theme, perfect for the blogger who needs clean and modern design. One of our skilled designers will take care of your theme installation, including any requested color changes and logo implementation all within one weeks time so you don’t have to worry about a thing. We offer an amazing post-install support package that will provide you with basic troubleshooting help as you settle into your new design. Use modern landing page with slider and four customable buttons to give your visitors fast access to the most important information. Includes a optional styled three column footer which can be easily filled with widgets of your choice. Build your mailing list with conveniently placed opt-in box at your right sidebar. The opt-in boxe works with FeedBurner, MailChimp, AWeber, FeedBlitz and more!